This document was curated by Matthew Michaud at Capilano University. Feel free to email him regarding inquiries and assistance concerning Indigenizing your curriculum. 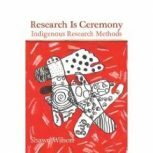 Please click here to see/download the PDF file for Indigenous Reading List – Non-Fiction. The Winter We Danced: Voices From the Past, the Future, and the Idle No More Movement by The Kino-nda-niimi Collective, 2014.